Crucial things you MUST do before you think about how to promote your blog! If you want new readers and targeted blog traffic, then you should know how to promote your blog. All bloggers probably know quite well that promoting a blog is a crucial part of the game. Most experts suggest 20% content creation and 80% promotion and I agree with them. If you simply create blog content and do not give it proper promotion, your content (and the time and effort you put in to create it) goes wasted. And no blogger wants that. We all want our content to be read, shared, appreciated, and we also want to consistently gain traction, get qualified visitors, subscribers, customers and a steady stream of income. As you can see, blog promotion plays a very crucial role in the whole of your blogging system. Actually there are two things: Quality content and marketing (promotion). These two things should go hand in hand and one without the other will be meaningless. Before I give you tips on how to promote your blog, I would like to point out a few things you should do BEFORE you even think about promoting your blog. Let me start right away. 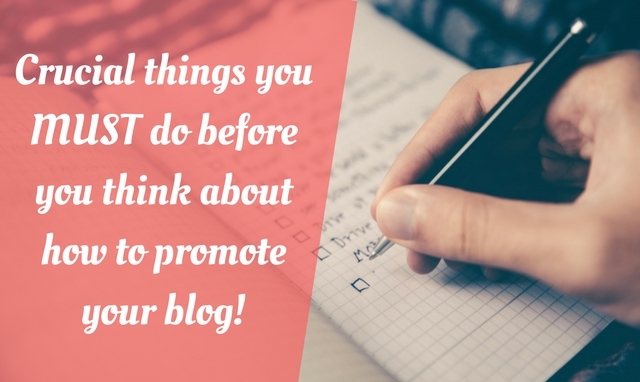 What to do BEFORE you think about promoting your blog? Let’s say you decide to throw a big party and go out and invite about 50 of your friends. All of your friends are so excited about your party and they just arrive at the time. Not pleasantly, but just the opposite. Your house is full of junk. Dirty clothes are everywhere. The trash can is full. There are plates on your working table with leftovers in them. Your fridge is full of leftovers and junk food. And you haven’t vacuumed your house for a week. Before you think about promoting your blog, you should realize that blog promotion will attract traffic to your blog. By promoting your blog, you are basically inviting people to come to your blog and read your content. And what if they come to your blog only to see a junk blog, full of useless content, and flashing ads? Or what if your blog has no more than 5 pages? What will the traffic that arrived on your blog as a result of your promotion do? So here are the things you should attend to before thinking about blog promotion! Make your first impression the best impression. A well-designed blog can make your visitors stay longer and will give them a pleasant experience. It is not just about the look and design but also about user experience. Make sure your blog has a clean and easy navigation. Don’t leave your visitors confused. Have a clean blog. I understand that you need to put up ads to monetize your blog. But don’t hurt user experience for the same. Make sure your blog loads fast – this one is very important these days! To cover all these features I’d recommend you go with a premium theme like Genesis (aff link). Now with Genesis, you have a lot of Child themes that you can choose. Or if you don’t like using ready-made themes, you can opt for a custom design (yes I do help bloggers with blog design without making them to spend a fortune). Without content, your blog will prove useless to your readers. And by content, I mean quality content. The content can be of any kind – text blog post, audio, video, PowerPoint presentation – it doesn’t matter. But you’ve got to have useful content. Killer content. For more help on this, I suggest you take up my content writing course. And make sure you have enough of it. I don’t mean you should have 100 blog posts on your blog before you start to promote it. But you should have at least 20-25 high quality blog posts. This way your readers can stay some more time on your blog and read more content. Your blog should have an About page by all means. When your readers land on your blog for the first time, or if they are coming for the second or third time and finding your content really valuable, they might want to check who you are and what your blog is about. 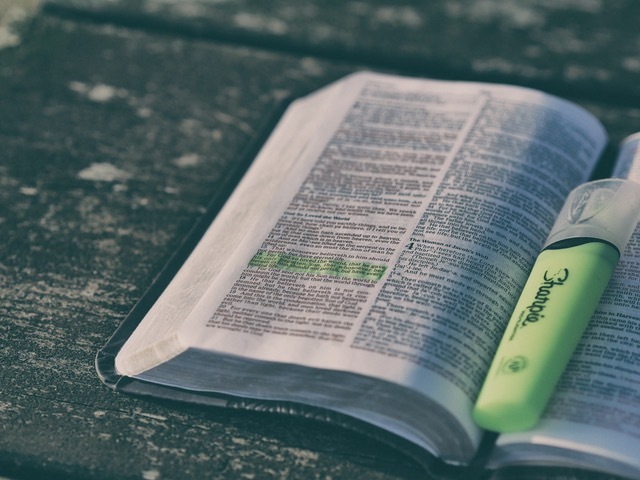 Having an About page will help your readers connect with you. They will come to know more about you, your business, your online presence, your expertise and how you can help them via the blog. Now this list is not all. And you don’t have to add all the above mentioned pages (except About and Contact). It all depends on your business. SEO is not dead. Search engines will be able to find your content, index them and will be able to present them to your readers (in search engine results pages) only if you have optimized your pages properly. I am not saying that if you don’t do any SEO, search engine bots won’t crawl your blog. They will. But if you want targeted search engine traffic, you need to optimize your pages appropriately. That is, if you are writing a blog post on “How to promote a blog?” – your post might rank for a number of different keywords based on the content of the post. But if your readers are searching for “how to write killer content”, they might land on your page (from search results), if you have discussed that topic inside the post as well. But the reader was not exactly looking for information on blog promotion (your post topic), rather he/she was interested in writing killer blog content. And so the reader might bounce back. So it is your duty to optimize your blog pages/posts for the appropriate content/keywords/context. Before you invite guests for your blog, make sure you have all the conversion elements in place. Now what are conversion elements? Those are the elements that help with achieving the purpose of your blog. For instance you might want your readers to subscribe to your email list. Or you might want them to buy your product. Or leave a feedback. Or share your blog post. Etc. It depends on your business and the reason why you blog. So you have to pick up those conversion elements wisely and place them appropriately on your blog. Be it a sign up form (regarding building an email list, in a minute! ), that Buy Now button, or that feedback form – whatever! If you want your visitors to take a specific action, give them that option. Just following the previous tip, while we talk about conversion elements, one of the most important conversion element for most blogs would be email opt in. In this regard you first have to start building your list (you will need an email autoresponder service like Aweber or GetResponse). NEVER postpone this thinking your blog is new or you need X number of visitors before you can start building a list. When my blog was getting 20 visitors per day, I already got 45 subscribers. It might be a small number when I think about it today, but you know, that’s how things started for me. If I had went crazy about promoting my blog without thinking about giving the option for people to subscribe, I wouldn’t have been able to (still) connect with my initial readers! Yes blog promotion is highly essential. You need to spend time on finding readers for your blog. Otherwise, your blog will be a ghost town and no one will be reading your content. When you put lots of effort, time and possibly money on content creation only to find out no one is reading your content, it is really discouraging. And apart from the feelings, you will not be able to roll, and start making real money without blog traffic. But above all these, the fact remains that you got to set certain things straight before thinking about how to promote your blog. If you don’t take care of the above mentioned stuff, all your blog promotion efforts will go wasted. You will not make any good use of the traffic that comes to your site. And you might even ruin your reputation (sending away your readers once for all) if you don’t take care of your site’s look, functionality and on-page optimization. Make sure you fix these things first before you start promoting your blog. In the next post I will be talking about what you need to do after you have fixed these things. In other words, the answer to the question: How to promote your blog? There are quite a few things bloggers must do before promoting their content. Cleaning your blog up to give your visitors a great user experience is definitely something to focus on. I like the party analogy since it holds very true to your blog. You don’t want ads all over the place because this can give your visitors a great reason to leave and never come back. Its not good rapport to put ads in the faces of your visitors before they get to your content. And if they decide to weigh it out and get to your content, you want to make sure that it’s good, quality content . Your visitors are looking for solutions that they can implement, and if you’re consistently publishing this type of content then this will help you with organic, referral , and social media traffic. Not only will you get new visitors but also you’ll maintain returning ones which is always a plus! Thanks for sharing Jane! Have a good one!